Our Upcoming Trips at a Glance | Post a comment! This time of year everyone is in the giving mode which brings with it an abundance of stress. This can cause us to lose sight of the meaning of the season and the time we spend together with loved ones. Some of my best memories of this time of year are not of gifts, but of time spent with family members who have passed on, childhood memories of tobogganing in the snow and baking in the kitchen with my mother. For others this can be a very difficult time of year, a time of loneliness and sorrow. Remember to appreciate the little things this holiday season and those around you, time spent and kind words are the best gift of all. In ancient times, energy workers known as shamans used rituals, tools, and wisdom to provide guidance and healing for the people of their tribes. Their magic was largely lost to the world with the progress of science and technology, but the spark of that fire never completely went out. However, modern day teachers have reached back through time to reclaim these practices and integrate them with our contemporary lives. Join us in the mystical setting of Sedona to meet the leading shamanic teachers of our day. This is a once-in-a-lifetime chance to retreat from your usual patterns of living and learn how to harness your inner power in entirely new ways. You will return to your life with fresh vision and know how to create your own reality as the work of art it was meant to be. 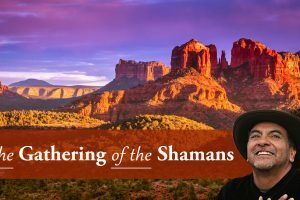 This gathering will be held at the Sedona Mago Retreat Center, surrounded by red monoliths, Native American ruins and majestic mountains, the Retreat Center offers 163 acres of beautifully landscaped land honoring Mother Earth’s treasures. Designed to work with the natural healing energy of Sedona, you can relax and rejuvenate body, mind, and spirit. Trip Tuition: Early Bird Tuition – $1,197 USD double occupancy (good from October 15 – December 31, 2018). Your ticket to this event includes the entire program of sessions with all of the teachers and full room-and-board. 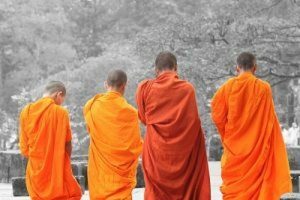 Join David Ault on this profoundly heart-opening spiritual journey of service to Siem Reap, Cambodia – home of the incredible ancient temples of Angkor Wat. To open oneself deeply, to risk feeling the suffering of others, and to wish to relieve that suffering – is the definition of compassion and the cultivation of the Buddha within us. As Gandhi once said: The best way to find yourself is to lose yourself in the service of others. You’ll have the opportunity to explore the amazing temple complex at Angkor Wat! Built in the 12th century, Angkor Wat lies north of the modern town of Siem Reap and was originally Hindu dedicated to the God Vishnu. Service is often called unconditional love in action – to give totally of yourself is to be free of ego, 100% present, doing what is needed without judgment. In these moments our heart opens and the truth of who we are comes through – our divine presence. Volunteer travel is a powerful experience – you risk coming home with a clearer vision of what you want in life, a deeper sense of self-realization, and clarity about who you are and your purpose in life! Trip Tuition: $2,090 USD based on double occupancy, single supplement: $495 USD – many meals included. Want to see our whole line-up for the upcoming year? Visit our Trips at a Glance page. Sheri A Rosenthal DPM, Inc. dba Journeys of the Spirit® is registered with: The State of Florida as a Seller of Travel - #ST35968, The State of Washington - as a Seller of Travel #603-050-619, The State of Hawaii - Travel Agency #6748, The State of Iowa - Travel Agency #986, CST 2102811-50. For complete credentials please visit Our Credentials page. 10 Keys to an Awesome Life! Website designed by Ted Raess and developed by Theresa Kibler.